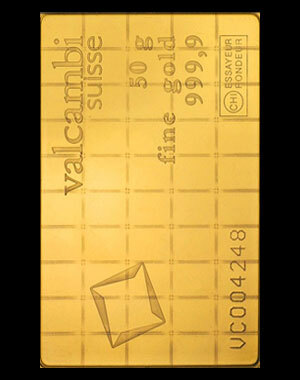 from Valcambi, Switzerland, represents the very best value in gram gold bars. 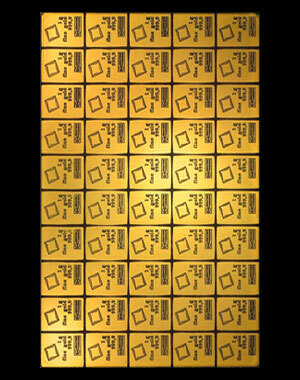 This unique product, weighing 50 grams (1.60754 ounces) can be separated into fifty individual one gram bars or kept and traded as single sheet. Manufactured by the 160 year old Valcambi Company in Switzerland, each gram bar boasts excellent quality engraving of guaranteed .9999 pure gold. Each bar is shipped in its own protective plastic case and includes a numbered assay card.